Esse texto, de autoria minha e revisão por Isabel Ferreira, visa destacar a relação dos “games” com assuntos do ramo da psicologia. Nele, eu realizo uma breve análise e comparo o jogo eletrônico Grand Theft Auto IV, da desenvolvedora Rockstar, à contemporaneidade e às afirmações e opiniões de autores em seus respectivos textos. Dentre eles estão Bauman com o capítulo “Procurando refúgio na Caixa de Pandora” de “Vida Líquida”, Sennett com “Ilegível” e Nicolaci-da-Costa com “Internet: Uma nova plataforma de vida”. Se adotarmos o senso comum como verdade, chegaremos à conclusão de que os jogos eletrônicos – ou games, como atualmente são chamados – são ferramentas de alienação e lavagem cerebral de pessoas, especialmente crianças. Embora este trabalho não vise descer a minúcias sobre tal falácia e argumentar contra a mesma ponto por ponto, é necessário destacar a seguinte informação: os jogos eletrônicos podem ser representações culturais e artísticas tão eficazes quanto os filmes e a literatura. 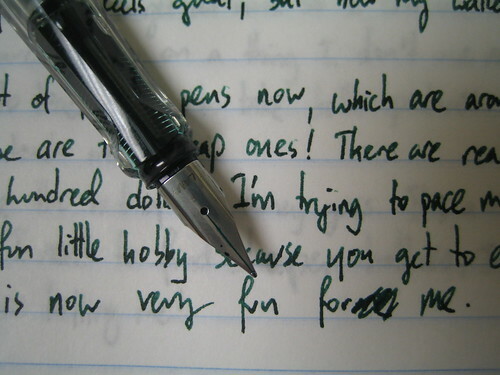 On February 20th Gamastura posted a list of gaming’s Top 20 Writers in recent times. The article was well received and six days later Gamasutra posted the audience response. First of all, this is a huge and notable step forward. The writing niche in games isn’t nearly as big as others, such as programming and design, despite its important. I am not, however, trying to preach that story is the most important thing in a game. I think, in fact, it is not. If applied incorrectly, it can even hinder the game’s flow. Developing games is about creating and experience, not about summing up different parts and hoping they’ll form a nice result. If the story isn’t contextual to the interactive experience, it beats the point. If, however, it relates to the gameplay offered and enhances its potential, then its purpose has been fulfilled. Storytelling is essential to the experience, but that also involves knowing when to stand down. Make your stand at the appropriate moment and context, however, and you’ll follow the example of games that wouldn’t have ever achieved the cult status they have today, were it not for their narrative. Yes, games such as Portal, Grand Theft Auto IV, God of War, Braid, and Call of Duty 4 wouldn’t have become so popular if they didn’t reveal GLaDOS’ instability, Niko’s immigration, Kratos’ wrath, time’s poetry, and the horrors of modern war, respectively. Therefore, I’d like to pay my respects to all the writers mentioned, as well as those who weren’t. Industry notables or not, the act of writing and telling stories is most likely a passion that drives us and to be able to live and attain success through it is the dream of many. A lot of motivation in one’s career comes through the advice and knowledge shared by the experts. In that sense, I am thankful and encourage more comments through writing peers and professionals like Susan O’Connor, Drew Karpyshyn, Tom Abernathy, Andrew Walsh and Rhianna Pratchett among others who participated. Do yourself a favor and check out the Original Feature and the Audience Response. What I’ve written is is merely a foreword. If, at all. A large cast of varied and intriguing characters isn’t something new when the topic is Rockstar and its organized crime series Grand Theft Auto. 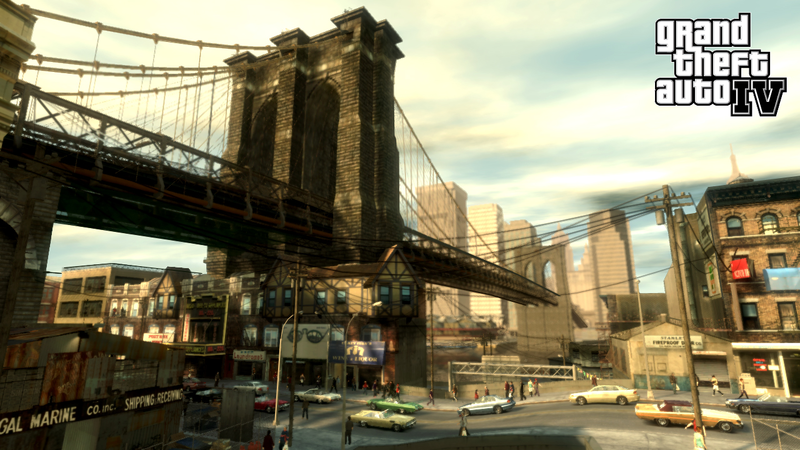 The case isn’t different here, when the release of GTA4’s DLC is less than a month away. 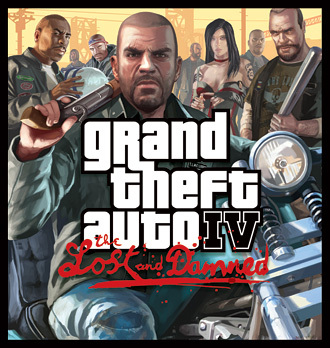 “The Lost and Damned” puts the player in the shoes of Johnny, a member of the biker gang, The Lost, who crosses paths with Niko, GTA4’s eastern european protagonist, a couple of times. The interesting element here is the development of the same setting (or scenario) through new characters and events. Where initially there could have been some room for doubt, it seems there isn’t any more. The developer of the GTA series is apparently using the same approach as the one they used in “Liberty City Stories” and “Vice City Stories”. The main characters are related to the original game’s plot and characters, but their events take place years after or before and affect indirectly the whole setting, rather than a lot of specific story-events. The website for the DLC simply confirms that by stating “The Lost and Damned All-new missions and a new storyline that interweaves with the original story arc of Grand Theft Auto IV“. One can only conclude that at certain point the player will revisit a scene in which Niko and Johnny exchange glances or indirectly communicate. As a writer, I understand the change of protagonist. Niko’s story has been finished. His tale has been told and because it ultimately reaches its end you understand the implications. Whereas much of its profound meaning could be lost in the case of an extension through means of an expansion of sorts and that bitter taste of an “american dream gone wrong” would be forgotten. The main character’s purpose, in this case Niko, has already been fulfilled. Yet, there are many other stories and tales to be explored in Liberty City, like Johnny, and that is where temptation lies. As well as other genetically superior characters, right “meh breda”? Whether its Rosenberg talking to Vercetti on the phone, Toni Cipriani giving orders to “fido” or the misadventures of the Vance brothers; secondary characters always have a backstory with more than meets the eye. The same applies to a series of theories related to Tarantino’s movies in the following short film. Take notice and you’ll find out how many different characters fill in the gaps and voids between different narratives. And if you ever wondered what exactly was inside that suitcase in Pulp Fiction, Reservoir Dogs might have the answer.